Zali Reynolds developed an early interest in real estate and over the span of an impressive career, she has cultivated a unique and highly regarded skill set. With multiple awards under her belt, including the 2015 agent achiever of the year award, as well as being ranked amongst the top ten women in Australasian real estate, Zali is a force to be reckoned within the industry. 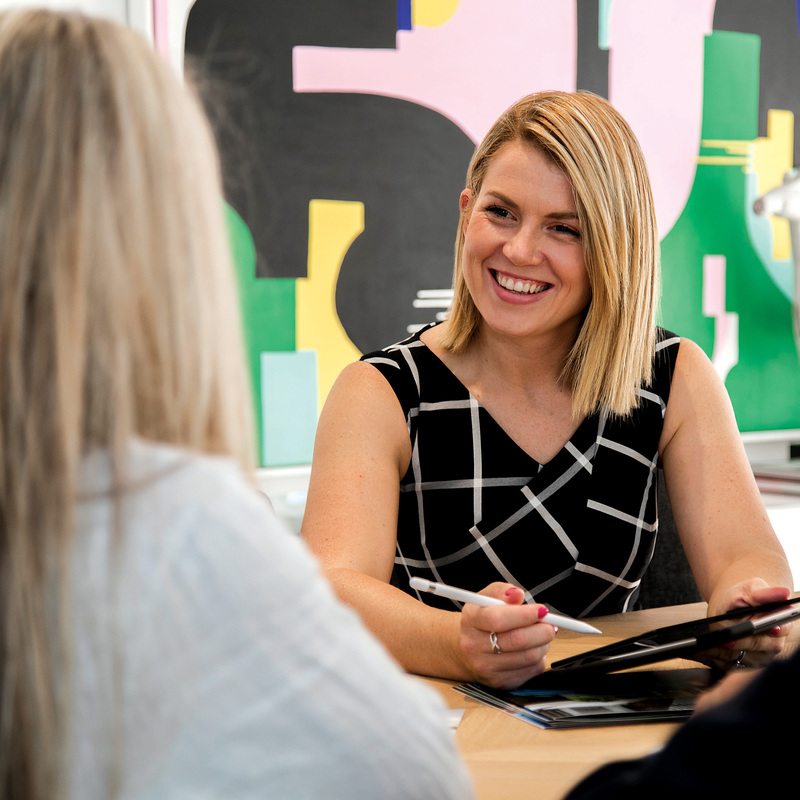 Her phenomenal work ethic and unparalleled knowledge of the Stonnington, Boroondara and Whitehorse property markets allow her to excel in her role as director and team leader at Marshall White. An unwavering focus on building long-standing relationships, coupled with a natural talent for matching buyers to properties has allowed Zali to consistently exceed her clients’ highest expectations. Through her position as a mentor within the Marshall White Group and numerous guest speaking roles at other real estate agencies and conferences, Zali is actively involved in developing the next generation of agents in Australia. An energetic, hardworking and determined real estate agent, Zali’s passion for people permeates every aspect of her life. Her directorship role in the Marshall White Foundation allows her to further utilise her impressive range of skills by supporting the wider community. Our salespeople form a cohesive team who bring our ‘family culture’ qualities to your sales campaign. When appointing the best agent to handle the sale of your home, there are definite qualities that signify an exceptional agent. First Name* First Name must be alphanumeric and 2-30 characters long. Surname* Surname must be alphanumeric and 2-30 characters long. Mobile* Mobile must only contain numbers or '+' and be less than 16 characters long. E-mail* You have not given a correct e-mail address. Property Address* A Property Address is required. There was an error submitting your request, please try again later. We first met Zali when we purchased an investment property in Glen Iris. She was with another agent then but through her move to Marshall White and over the intervening years she kept in touch in a professional and friendly way. When it came time to sell the property she was a natural choice. The sale involved considerable negotiation and time pressures but Zali handled the whole process so skilfully that we received an excellent result in just three weeks. At all times Zali kept us well-informed. She is friendly, considerate and assertive when required - qualities which will ensure that we will unhesitatingly recommend her to others and contact her if/when we sell or buy in Melbourne in the future. Thank you! I just wanted to let you know how much I appreciated your help and hard work towards today’s very pleasing auction result for the sale of my home here at 142 Summerhill Road, Glen Iris. As a complete novice to selling in the Australian Market, I would have found the auction process incredibly daunting without your advice and guidance. Your valuation was spot-on, as was your advice on presentation, and frequent feedback from potential buyers was reassuring. Business apart, it was a pleasure to meet up again. As you know, I turned to you to handle this sale having been impressed by the way you’d keep in touch now and then with the neighbourhood property information in my mailbox ever since we first met 15 years ago. This was when I was doing the rounds of ‘Opens’ in the area as a ‘nosey neighbour’, just gauging where my then recent purchase of No142 lay on the spectrum of cheap-to-expensive. Your good cheer, kindness and professionalism throughout this sale was a terrific help, I shall recommend you whenever the opportunity arises. We were drawn to Zali by her enthusiasm and professional approach. We had watched Todd in action auctioneering and were very pleased when Zali suggested they team together to market and sell our home. Selling our family home was a major decision for us to make. Engaging Zali and Todd, and entrusting their expertise, gave us confidence to proceed. During the campaign they kept us well informed of the visits to open days, buyer feedback and levels of interest. Zali and Todd were always available to answer queries we had. Prior to auction day we felt well informed and prepared for all possible outcomes. On auction day we were fortunate that “Plan A” worked, achieving a great result. We are pleased to recommend Zali Reynolds and Todd Braggins. We want to thank Zali for the amazing job she has just done with the sale of our property. During these difficult times with the market, we had, honest and positive attitude to our campaign. She pulled the rabbit out of the hat and we sold without any hiccups and knew exactly where we stood. She kept us informed at all times and we appreciate all of her and her team’s hard work to achieve such a fantastic outcome. Marshall White provide the latest sales and auction results, median property prices and suburb profiles to help you make more informed decisions when buying, selling or investing in property. Our position as a respected market leader hinges on our unique company culture. We reward teamwork, which means that when you sell with us you have the expertise of the entire Marshall White sales team behind you, each individual working hard to sell your property. As a result, we sell more quality properties in Stonnington, Boroondara, Port Phillip and Bayside than any of our competitors. When you choose to sell with Marshall White, you put your trust in our reach, relationships and results. First Name * Name must be aplhanumeric and 2-30 characters long. Last Name * Name must be aplhanumeric and 2-30 characters long. Phone * Mobile must only contain numbers or '+' and be less than 16 characters long. Message must be 10 to 1000 characters long.